Rent Skelly Lodge | Corporate Events | Wedding Locations, Event Spaces and Party Venues. Skelly Lodge is an elegant eight bedroom Swiss chalet that rests high on a ridge with a commanding view of the Verdigris River Valley and the wooded hills of northeastern Oklahoma. Only minutes east of the Tulsa metro area, we are surprisingly secluded. Skelly Lodge is an elegant eight bedroom Swiss chalet that rests high on a ridge with a commanding view of the Verdigris River Valley and the wooded hills of northeastern Oklahoma. Only minutes east of the Tulsa metro area, we are surprisingly secluded. Experience this perfect setting for your special occasion or just a peaceful getaway. Relax on the veranda while enjoying the beauty surrounding Skelly Lodge. Hummingbirds, deer and a variety of other wildlife complete our scenic setting. 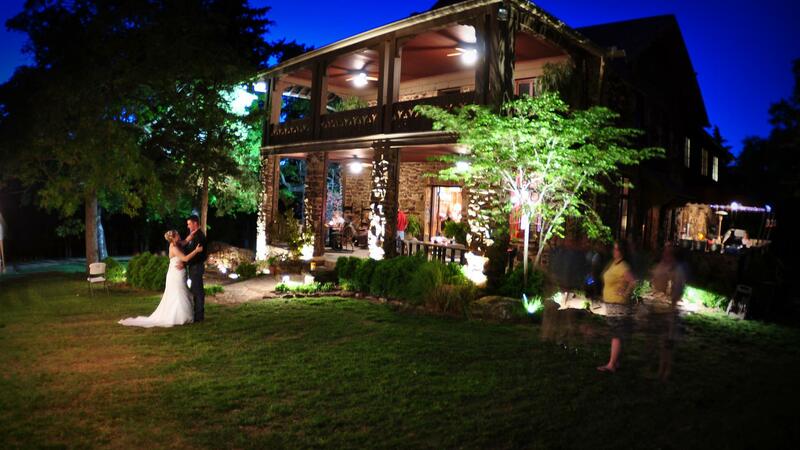 The lodge is the ideal location for a picturesque wedding. Skelly Lodge is the perfect setting for weddings, receptions, reunions, company or club meetings, retreats, or private parties. The warm, inviting interior is a spacious 8000 square feet featuring open living areas which can be used for meetings or dining, 8 beautiful bedrooms, and a fully functional kitchen. Skelly Lodge will accommodate up to 250 guests when utilizing our indoor and scenic outdoor surroundings. We offer a choice of three distinctive wedding ceremony locations, each with their own rustic charm, all of which feature a commanding view of the Verdigris River Valley. Many famous guests, including Presidents Franklin D. Roosevelt, Harry S. Truman, Dwight D. Eisenhower, and British Prime Minister Winston Churchill as well as many other famous influential people have rested, relaxed, and conducted business at the Lodge.